This crockpot buffalo chicken is juicy tangy and made with only 3 ingredients it's an easy crockpot recipe you will be making over and over again. This post contains affiliate links for your convenience which cost you no extra but contribute to running this blog. 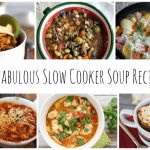 It's has become one of our favorite quick weeknight meals! 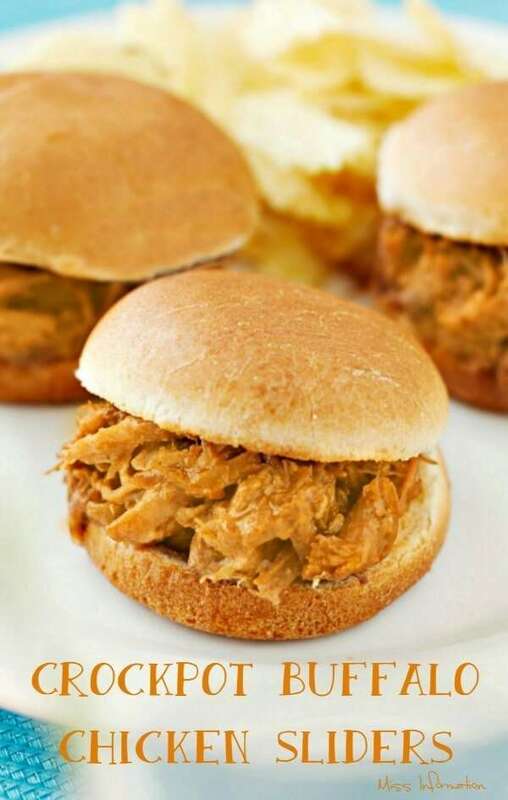 You can make it with fresh or frozen chicken and I use Reynolds Slow Cooker Liners in my crockpot for easy cleanup. 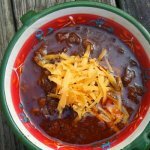 If you hate cleaning your crockpot then you MUST try these. They are made with a special heat resistant material that will hold the heaviest of ingredients without puncturing. They are also BPA free in case that is something you worry about. This crockpot buffalo chicken recipe uses only 3 ingredients to start so it's less than 5 minutes to throw in the crock pot on a busy morning. 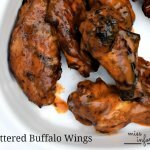 I have tried many buffalo wing sauces and my favorite for making crockpot buffalo chicken is Moores Wing Sauce it's tangy with just the right amount of heat and not overly salty and it's also gluten-free. 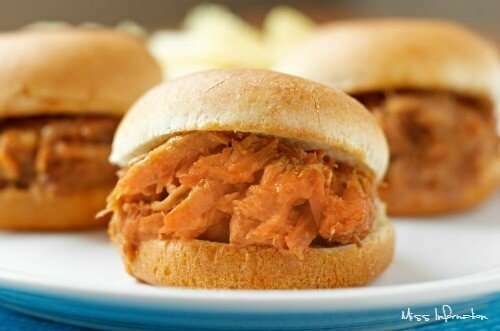 Once the shredded buffalo chicken is ready I put it on a hoagie or slider roll and like to top it with a blue cheese schmear and red onions. 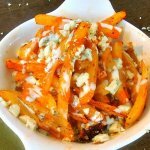 If you don't like blue cheese you can also use your favorite ranch dressing. You may want to spoon some extra juice on so when you eat it you will feel that goodness dripping down your chin and trust me you just won't care! I swear you won't be able to eat just one! Pour the Wing Sauce over the chicken. Sprinkle the ranch dressing mix over the top. Spoon shredded buffalo chicken on the bottom bun and top with red onion and blue cheese. Make a big batch of this crockpot buffalo chicken because it freezes well for another meal. 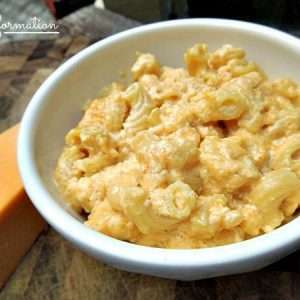 You can use it to make buffalo chicken quesadillas or your favorite buffalo chicken dip. 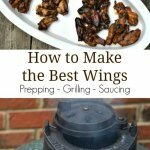 If you also want a great buffalo chicken wing recipe you have to check out Great Chicken Wings and Grill Tips for 4 sauce recipes and how to grill chicken wings. I could seriously eat this 2-3 times a week, especially during football season. With a beer of course! 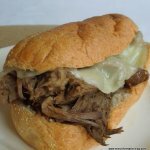 Aren't crock pots great...looks delish! 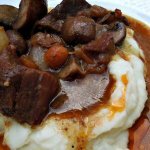 Crock Pots, what a sweet invention! 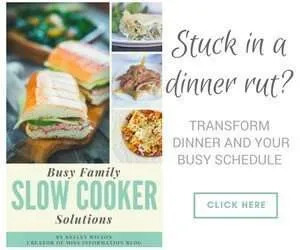 I couldn't live without mine and I just love finding new tasty recipes to try in it. Thanks! Yum! This looks great! Found you on the Tumbleweed Contessa's Super Bowl Party! Love this one, too. You have been busy linking up! Mmmm...I've been scared to try this one out but after seeing this I think I'll put it on my list for this weekend :). I'm featuring this post and your blog at tonights Link & Greet party @CountryMommaCooks. I grabbed a button to place in my side bar for the week.....I noticed that there is a "/> hanging outside your button....I took it out of the code on my end...Hope you have a wonderful Mothers Day! This looks so good! I am pinning it. Thank you for sharing. Look so darn good. 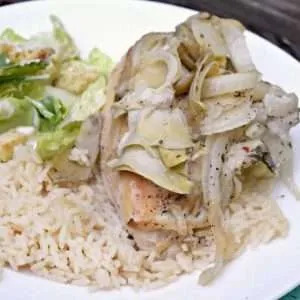 I did some chicken like this recently, but didn't add the bleu cheese and red onion. But I sure next time! Thanks, I hope you enjoy it, let me know what you think! That sounds so delicious! I'm pinning it. YUM! I pinned this. looks awesome. 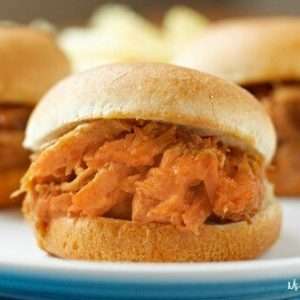 Buffalo Chicken sandwiches are one of my favorites lately. This version sounds yummy! This looks so good. 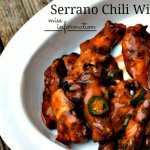 Love buffalo chicken wings but don't eat very often since it's so high in calories. I'll use lower calorie Ranch dressing and don't think it will hurt the flavor too much. thanks for sharing, looks so good. Haven't seen you in a while, and yy fingers are crossed that you'll back and share at Sunday's Best Party tonight. Miss ya!